In a democratic system of thought control…[it is] necessary to take over the entire spectrum of opinion, the entire spectrum of discussion, so that nothing can be thinkable apart from the party line; not just that it be obeyed, but that you can’t even think of anything else. The myths and stereotypes surrounding “mental illness” and the “violent mental patient” are unfortunately alive and well. Medical reporters and columnists, editors and producers in the mainstream, corporate-controlled media in Canada and the United States constantly parrot psychiatry’s discredited medical model of “mental illness,” “mental health,” “safe and effective medication” and “lifesaving” electroshock as though they were proven scientific facts. I charge the corporate-controlled media with promoting fraud – presenting psychiatric opinion and “mental health” ideology as “medical science.” They air psychiatric propaganda – psychobabble – almost every day, repeating like a mantra that “schizophrenia” is a brain disease; that “bipolar mood disorder” is caused by a “chemical imbalance in the brain”; that “Attention Deficit Hyperactivity Disorder” (ADHD) is a neurological disorder. So-called objective and balanced articles and TV specials on “mental illness” or “mental health” broadcasts by the Canadian Broadcasting Corporation (CBC) and published in The Toronto Star, The Globe & Mail and the National Post never cite credible medical or scientific evidence to support such claims – because there is none. I also charge the corporate-controlled media with elitism and bigotry. Personal statements, and in particular psychiatric survivors’ testimony, that criticize forced drugging and electroshock and promote non-medical alternatives are routinely dismissed as “anecdotal” or not credible, or, even more commonly, edited out of major news stories on “depression,” “schizophrenia” and “mental health.” Where are the balance and fairness on which the media pride themselves? When reporting on research findings that support psychiatric claims of the alleged safety and effectiveness of psychiatric treatments, the media generally oversimplify them and overstate their scientific credibility and social significance. Challenges of such claims are extremely rare. At the same time, studies whose findings do challenge – or flatly contradict – the notion that these treatments work and are safe are glossed over. For example, studies that expose the fraudulent diagnostic label “ADHD” and the addictive effects and violent behaviour triggered by the amphetamine-type drugs used to “treat” this so-called disorder (such as Ritalin and Adderall) are rarely or never cited, much less discussed. Although scientific studies conducted over the last ten years have proven conclusively that Prozac, Paxil and other SSRI antidepressants frequently trigger “suicidal ideation,” suicide attempts, and mania in young people and others, the media did not even begin reporting on these alarming “side effects” until three or four years ago. 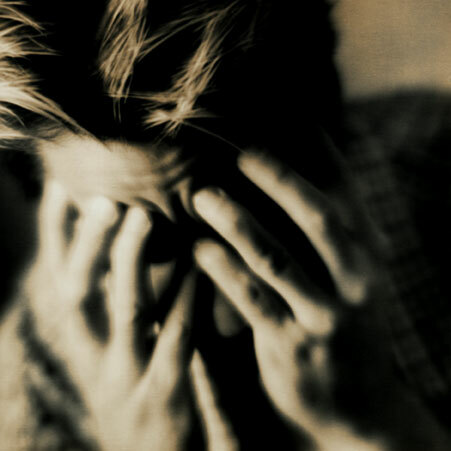 The Toronto Star’s 1998 “Madness” series provoked considerable outrage in the psychiatric survivor community, because it demonized psychiatric survivors, and especially those of us who are poor and homeless, by portraying us as violent or “potentially dangerous.” Several survivors and other critics of the psychiatric system, including one from the United States, wrote strong letters of protest to the editor. Because they published a few of these letters, Star editors erroneously believed that they had done justice to public criticisms of media bias against, and vilification of, this population. The belief that most psychiatric survivors are more dangerous or violent than so-called “normal” or “sane” people is a common myth and stereotype propagated by the mainstream media, biological psychiatrists like E. Fuller Torrey (who wants to lock up and forcibly drug “the mentally ill homeless”) and family “advocacy” organizations such as the Schizophrenia Society of Canada and the National Alliance for the Mentally Ill in the United States. Since there has never been any substantial scientific evidence to support this view, it [can legitimately be seen as] a false belief or delusion. The CBC, Canada’s government-funded flagship, is also guilty of promoting a pro-psychiatry bias, uncritically accepting psychiatry’s medical model of “mental illness” and electroshock (ECT). In 2008, CBC’s Radio One broadcast an interview with Edward Shorter by its science reporter Bob McDonald, host of “Quirks and Quarks”. Shorter is a University of Toronto historian who recently co-authored, with psychopharmacologist David Healy, the book Shock Therapy: A History of Electroconvulsive Treatment of Mental Illness. The interview was blatantly one-sided; it sounded like a promotional for electroshock and his pro-shock book. In a 2008 letter to CBC Producer Jim Handman, I wrote, If CBC radio is seriously interested in telling the truth about electroshock and growing international resistance, and correcting its pro-shock bias, it should start interviewing shock survivors. Handman completely ignored my suggestion that he invite shock survivors, activists or critics on a future program. So much for “fair and balanced” programming re electroshock and psychiatry on CBC Radio. Psychiatric propaganda including drug and “mental health” promotionals and the myth of “mental illness” continue to be churned out as scientific fact or “medical science” by mainstream corporate-controlled media, psychiatry’s cheerleaders. The corporate media’s many distortions and lies about “mental health”, psychiatry and its “safe and effective treatments”, such as brain-damaging drugs and electroshock, are alarming. Equally alarming is the media’s continuing refusal to interview psychiatric survivors and its exclusion of anti-psychiatry and non-medical perspectives – this is not just censorship, it’s bigotry. The corporate media’s medically biased coverage of “mental health” issues together with its promotion of psychiatry’s discredited medical model of “mental illness” and “treatment” and the latest diagnostic labels (e.g., ADHD, Social Anxiety Disorder, Internet Addiction Disorder..) must be directly and forcefully challenged and publicly denounced as fraud. More psychiatric survivors, dissident health professionals and other critics should be blogging, exposing this global disinformation campaign organized by psychiatry and the transnational drug companies (Big Pharma) and shamelessly parroted by the corporate media. It’s time more of us spoke truth to power. Don Weitz is a psychiatric survivor, antipschiatry and social justice activist. He is a member of the Coordinating Committee of the Coalition Against Psychiatric Assault, co-founder and board member of Psychiatric Survivor Archives Toronto, and member of the Ontario Coalition Against Poverty. He is also co-editor of Shrink Resistant: The Struggle Against Psychiatry in Canada, and author of the e-book Rise Up/Fight Back:Selected Writings of an Antipsychiatry Activist. For over 30 years, Don has been involved in the struggle to ban electroshock. He lives in Toronto.